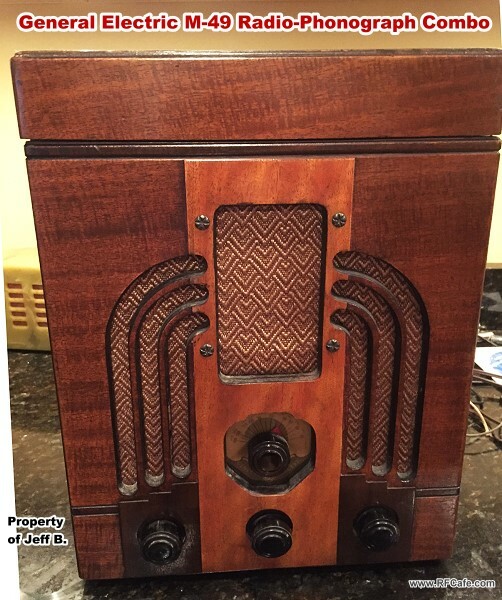 General Electric Model M-49, 4-Tube Radio-Phonograph Dual-Wave Superhet. 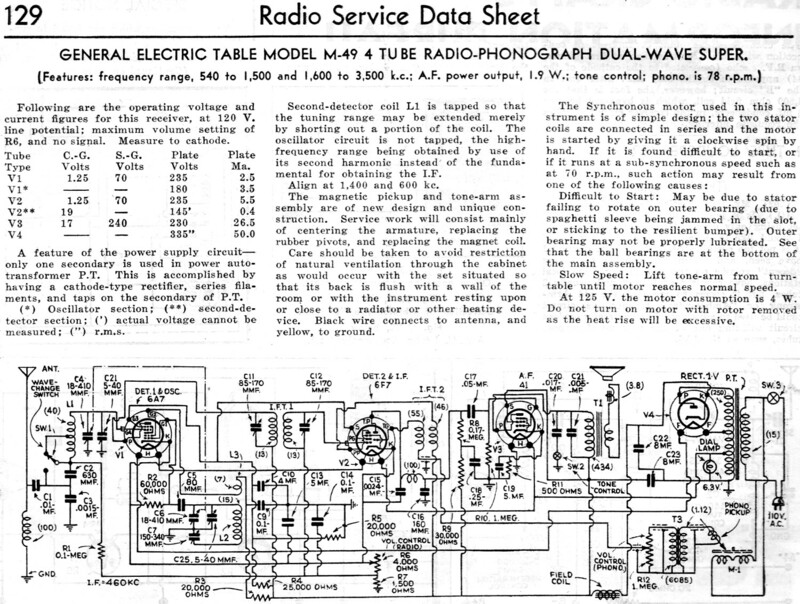 Radio Service Data Sheets were published by various electronics trade magazines back in the early to middle decades of the last century. SAMS Photofact document sets were published on just about every appliance made, and those had much more detail than these briefs. 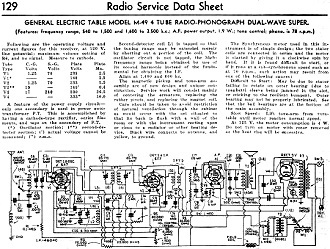 However, for the low-budget repair shop or the do-it-yourselfer, the Radio Service Data Sheets were a godsend. 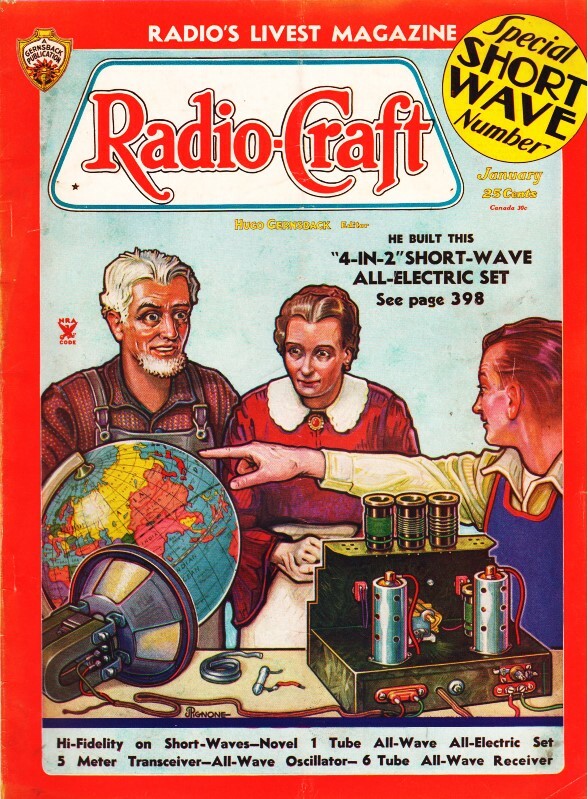 I have been scanning, cleaning up, and posting all the ones I find in my vintage electronics magazine collection. See a complete list at the bottom. 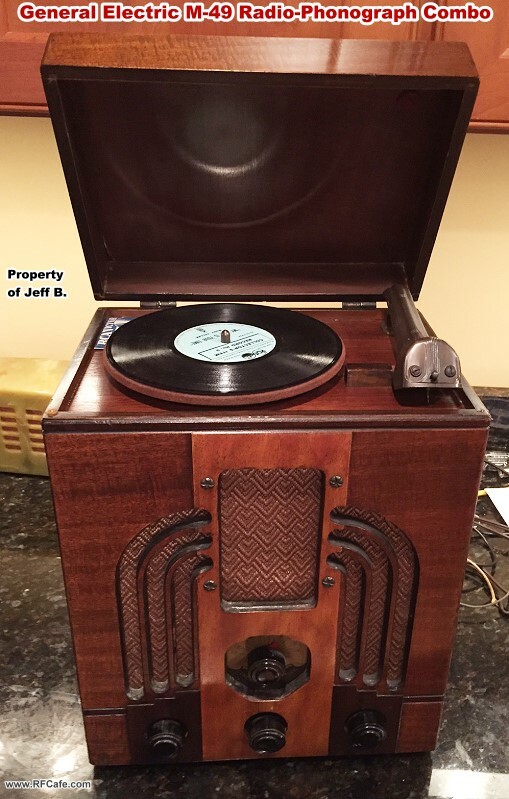 The two photos were provided by RF Cafe visitor Jeff B. , of Beverly, Massachusetts. 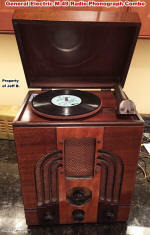 It appears to be in extremely nice condition for a 1930s era unit. 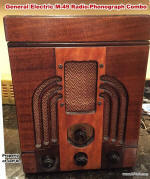 These are now the only images of the M-49 anywhere I can find on the Internet. He is restoring the unit to working order. A feature of the power supply circuit ­ only one secondary is used in power auto­transformer P. T. This is accomplished by having a cathode-type rectifier. series fila­ments, and taps on the secondary of P.T. Second-detector coil L1 is tapped so that the tuning range may be extended merely by shorting out a portion of the coil. The oscillator circuit is not tapped, the high frequency range being obtained by use of its second harmonic instead of the funda­mental for obtaining the LF.